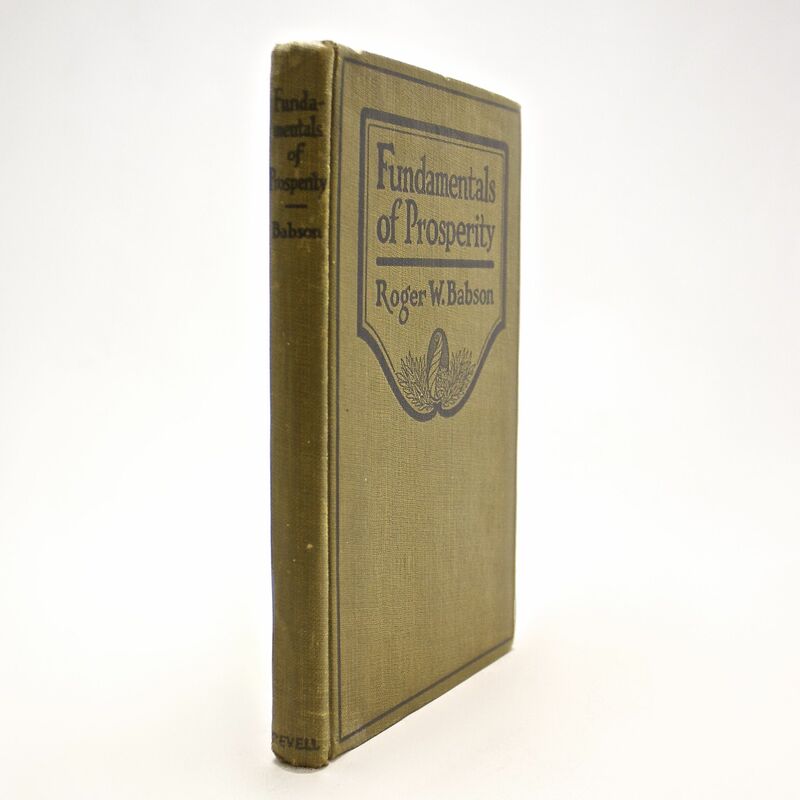 Fundamentals of Prosperity: Great Depression Economics - IFA Vintage and Current Book Library - Index Fund Advisors, Inc.
First edition printing of Fundaments of Prosperity by Roger W Babson. Rober Babson is a famous investor widely known for founding Babson College in Massachusetts and also predicting the stock market crash in 1929. White discolorations to lower spine-side corner of front and rear cover, small pink stain towards spine on rear endsheet and few pages. Spine cracked on page 50, though binding feels strong and intact. Looks like a crude binding process may have stressed some of the pages. This copy presented by church presidency 1922. - Presumed to be personal copy of Major VG Halliday who was recreations officer at Hill Field and appointed military representative to USO council in 1942.